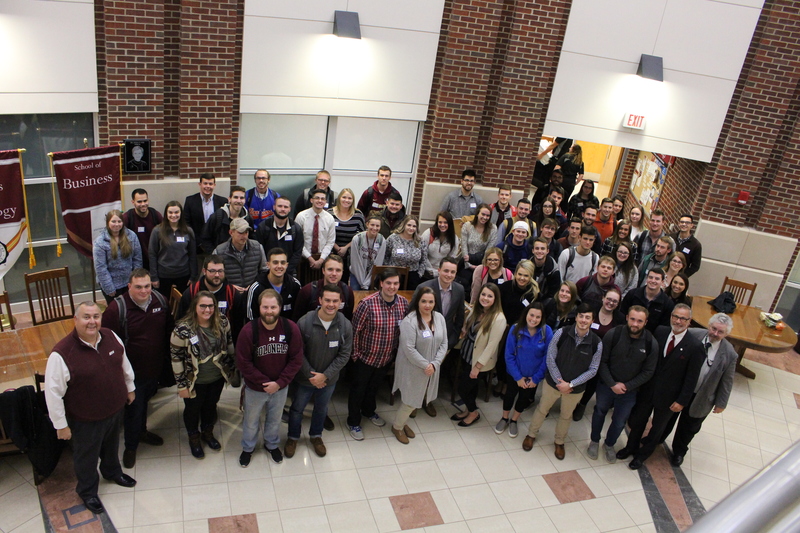 Over 75 students, faculty, and industry leaders gathered in the Rogow Auditorium in the Business & Technology Center (BTC) on November 14th for the 2nd Annual APICS collaborative meeting between EKU’s Global Supply Chain Management program and the APICS Bluegrass Chapter. APICS is the American Production and Inventory Control Society and is one of the oldest and most prestigious associations for Supply Chain Management professionals. APICS was founded in 1957 and the organization just recently announced a name change to the Association for Supply Chain Management (ASCM) to highlight that supply chain is comprised of more than production and inventory management and also includes quality, strategic procurement, supply chain network design, information technology, data analytics, etc. EKU faculty member and supply chain management program coordinator, James Kirby Easterling, opened the event with a warm welcome to all visitors and special guests, as well as a brief program update highlighting that EKU’s Global Supply Chain Management program is now one of the fastest growing programs across the entire university. Eric Stephan-Neill, president of the APICS Bluegrass Chapter, offered a welcome as well and gave an update on how the APICS Bluegrass Chapter is working with students to further elevate EKU’s supply chain program. The featured speaker at the event was Ed Webb, CEO of World Trade Center-KY, which is the leading provider of tradeeducation, trade advisory, and trade missions across the state. Each year, the WTC-KY responds to trade service requests, on-site trade support, and organizes international trade education programs covering topics ranging from international sales contracts to market entry strategies. In addition, the WTC-KY conducts trade missions and Washington, D.C. trade fly-ins, which allow Kentucky businesses to explore a market through site visits, business matchmaking and introductions to government officials. EKU’s Global Supply Chain program is one of the few across the state to have a comprehensive study across all supply chain pillars. Launched in 2014, the program has graduates now working in leadership roles with companies such as Carhartt, Altria, Northrop Grumman, Hitachi, Uber, and Lockheed Martin, among others. 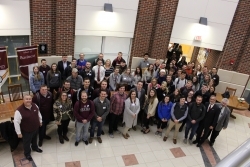 The program has also had over 75 internships over the past 4.5 years, with more companies seeking EKU’s supply chain students before and after graduation.